- The Poodle - Also known as Caniche or Pudle, the exact origin is unclear, some say it's a gun dog that may have originated from France others say the breed originated from Germany as a water retriever. Possibly developed by hunters the popular and distinctive clips that their thick curly hair is cut into, is meant to help protect them when they swim through water insuring their vital organs and joints are safe from the cold. This dog breed comes in three varieties from the toy Caniche breed to the miniaturized Caniche breed to the standard Caniche breed, the toy Caniches have been often used in circuses and other performances, the miniaturized or miniature Caniches were often used for truffle hunting as the standard Caniches were used as water retrievers. These dogs are very energetic and athletic and need there daily exercise. They ate excellent companions and will make good family pets. 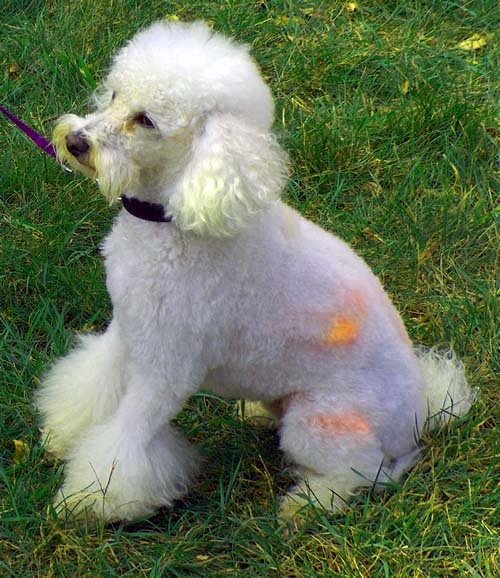 - Click here to know even more about the Poodle Dog Breed.